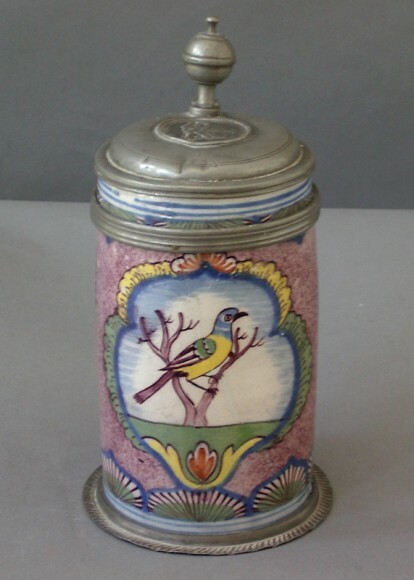 Hanoverian tankard dated 1803 with polychrome cartouche with perching bird, surrounded by sponged manganese decoration. Blue banding at top and bottom. 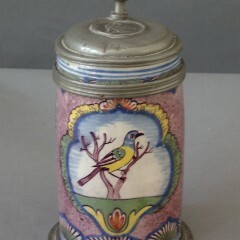 Pewter base and hinged lid. An exceptional example.